If you’ve been paying attention to the news recently, you’ll know that ESPN is releasing a TV streaming service on April 12th – for only $4.99 a month. The TV streaming service is dubbed “ESPN Plus” and will include live sports, exclusive originals, and an on-demand library filled with goodies. Sadly, it will only officially be available in the Us due to geo-restrictions. The good news is that anybody can unblock ESPN+ using a VPN for ESPN to pretend to be in America. No matter whether you choose to access ESPN+ on your TV or ESPN’s website player WatchESPN, an ESPN Plus VPN is the ideal solution. Our expert VPN reviewers have tested over 150 VPNs in the last 5 years searching for the best VPNs. When it comes to streaming, you are going to need a fast VPN, otherwise, you will suffer from constant and annoying buffering. If you prefer to find out more information first, you can scroll down. Later in the article, the top five ESPN+ VPNs will be listed again with detailed summaries for you to compare. ESPN Plus has been in the makings for a while now, and it’s finally set to be released on April 12th, 2019. This TV streaming service is said to include many of the things that WatchESPN offers, except a cable/satellite TV subscription isn’t necessary. Best of all it is superbly cheap! On the other hand, many news outlets are reporting that ESPN Plus is not for “cord-cutters” (people that don’t use cable/satellite TV), as ESPN Plus will not include nearly the amount of content that its cable/satellite TV counterpart offers. However, for people living outside of the US that can't get ESPN at all, this service might be just the ticket! What is a VPN for ESPN Plus? A VPN or virtual private network is a service that lets you pretend to be in a different country, thus gaining access to the geo-restricted content of many TV streaming services and websites. Additionally, a VPN provides you with an encrypted connection that will keep you safe and secure online. VPNs are ideal for maintaining digital privacy so that nobody - not your ISP the government or anybody else can tell what you are doing online. A VPN for ESPN Plus also needs to be extremely fast. Most VPNs have slow servers because fast servers cost a lot. However, for streaming ESPN slow servers won't do. For that reason, all our recommended ESPN VPNs have been carefully selected to provide lightning fast speeds. Why do I need a VPN with ESPN? Like many services, ESPN is plagued with geo-restricted content due to copyright and licensing restrictions. In other words, you can only access the content that ESPN provides for your specific country. This can be annoying, especially if you're a US resident on vacation that pays for the content back home. If you’re paying for a service, you deserve everything that service offers. This is where a VPN comes in. When you combine ESPN with a VPN, you can access all of its content regardless of where you’re located. Moreover, if ESPN isn’t offered in the country you reside in, a VPN will let you gain access. In order to subscribe to ESPN, you have to reside in a country where ESPN is available. If you travel abroad to a place that doesn’t offer ESPN, you’d normally be out of luck. Fortunately, there is a solution. The first step is using a third-party service like Sling TV or xfinity to access the ESPN network and/or WatchESPN. With a subscription to a third party streaming service, you can access your favorite TV channels without a cable or satellite TV subscription. Unfortunately, you might need a valid US payment method to get Sling TV (and other US streaming services). The good news is that you can get a virtual US payment method online. By using a virtual card, you’re able to purchase a Sling TV subscription like every other person in the US. Although we haven’t had the chance to test out the services ourselves, we’ve researched the virtual cards with the best reviews and come up with a few results. The first website is Entropay – an online credit card provider that lets you pay online like a US resident. Money Polo is another that is rumored to be a little cheaper than Entropay. If you don’t want the hassle of an actual virtual card, you can use a website like EcoPayz for a one-time payment. Remember, before purchasing a virtual card, do some research on the website you intend to use just to make sure it’s safe. 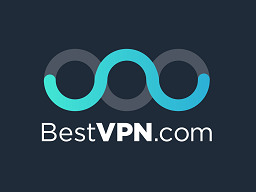 Fortunately, at BestVPN.com, we make it a point to research the VPNs we recommend before recommending them. All of the VPNs listed in this top five guide are ideal for ESPN viewers. Enjoy access to ESPN in its entirety! Let’s take a look at the top five VPNs for ESPN! There’s a million reasons why you should use a VPN with your ESPN subscription, and even more reasons why you should use a VPN in general. Now that ESPN Plus is available at such a cheap rate - using a VPN - ESPN just suddenly became an excellent option to indulge in a lot of US sport from overseas! The VPN providers recommended in this top five guide are a perfect fit for anybody looking to access ESPN without restrictions. Better yet, they’ll also help you access the blocked content of a variety of other services like Netflix and Hulu. For more information about using a VPN for Netflix or if you want to watch hulu outside US, check out our guides. So, what are you waiting for? Try one of our top 5 VPNs for ESPN today and get easy access to ESPN or ESPN Plus!